Inside gold is the alchemical Sun. Inside the Sun is an active substance, sulfur. Sometimes alchemists equal sulfur with the Sun. Sulfur is the spirit of life. Sulfur is of a twofold nature: white and red sulfur. White sulfur is the substance of the Great Work at the phase of Whiteness, and red sulfur at the stage of redness. Sulphur, the fiery spirit that vivifies everything. The wings on his head and feet are the traditional representations of the god Mercury. for as far as it is natural. Hermes is the Primal Source. No alchemical symbol is so confusing as Mercury. Here are some explanations of this mysterious substance. As sulphur is the symbol for the active principle, mercury is the symbol of the passive principle. Mercury is a term used for almost everything. It is the highest divinity, but also a devil. 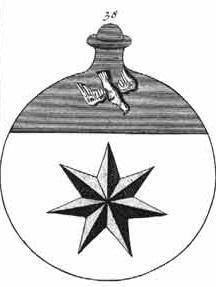 It is used to symbolize certain aspects of the alchemical work, but at the same time it is them all. It is ambiguous with many names and functions. 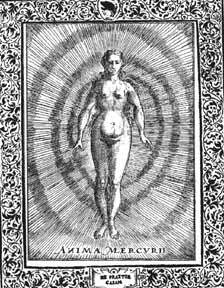 The alchemists often speak about mercury in the form of the god Mercury, whom we encounter in their engravings and paintings. As the god Mercury he is often seen as having qualities that belong both to mercury and to sulfur. Mercury is symbolized here in its female form of the quicksilvery soul, a reference to the soul of Nature. Usually mercury is used in its chemical form, quicksilver. Symbolic of course, it indicates volatility or fluidity, by which it is also named ‘water of life’ or ‘root humidity’. In his aspect of fire, Mercury is the sole fire in the entire process. He is the working force in the Great Work. He is an ‘invisible, secretly working fire’. He is the fire of hell, the infernal fire in the earth. Mercury is the spirit of man that works in the lower aspects of being, and thus is looked upon as an infernal fire. In his air aspect, he is the spirit, the air, the wind that is present everywhere in Nature and vivifies everything. He is ‘the spirit of truth hidden in the earth’. As hermaphrodite he unifies the sexes within himself. He is both the helper and trickster, Lucifer and Christ. When depicted as a dragon, he is flying and without wings. He is bride and groom. It is obvious that Mercury contains and unifies duality. He is Ouroboros, the serpent-dragon that bites in his own tail, representing the circle and unity, eternity, where the beginning and the end coincide. He is the alpha and omega. He is called the ‘prima materia’, the chaos, the rough stone at the beginning of the Great Work. As Saturn he initiates putrefaction, but also gives immortality. At the same time he is the goal of the Great Work, the philosopher’s stone, the elixir of life, the philosophical gold. Mercury is the process of transmutation. 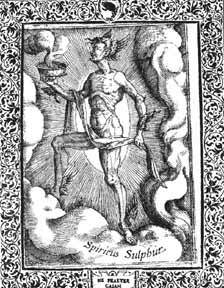 In alchemical images Mercury is depicted both as a young man and an old man. As an old man he is usually in the form of Saturn, the common man, fixed in matter with his habits, prejudices, and other material chains. As a young boy, he comes forth from the ‘coniunctio’, the joining of the King and Queen, representing rebirth, and eternal youth. Mercury is also called ‘quadratus’ because he contains the four elements, thus he is the quintessence. Another name for him is ‘azoth’ a word formed from the Latin letters A and Z, the Greek words Alpha and Omega, and the Hebrew words Aleph and Thau, all meaning the beginning and the end. who is everywhere and can be cheaply had. will be found within me by those who pursue their investigations in accordance with the rules of the Art. from my body you may extract the green lion and the red. you will destroy your five senses with my fire. By the philosophers I am named Mercurius. I am the highest and the lowest, the lightest and the heaviest. I am dark and light. Often the order of nature is reversed in me. I am known yet do not exist at all. through which you may change copper, iron, tin and lead into gold. having brought to death many people. if you don’t wan to delight in poverty. even that of heaven and earth. if you want to conquer me with the power of the fire. From which many have suffered in their potential and work. and that their soul will not cling to the transitory gold. and all metals by the sun’s rays. in the depth of his soul. than anybody can teach him. As symbol for wisdom, salt is the breath of the divine energy. This wisdom vivifies the invisible fire that energizes entire Nature. This fire controls life, movement, energy, the heavens, the planets. Paracelsus called this fire ‘the light of Nature’ a reference to the ‘anima mundi’, the soul of the world.